Forget about layering flower petals in with the tea leaves to impart their fragrance. Forget about tea flavoring oils that mimic the fragrance of some flower or other. And forget about teas where flower petals (the big thing these days is cornflower petals) have been sprinkled in amongst the tea leaves to make the tea seem better than it is. Get a truly fabulous floral experience that is all natural and is the result of the high quality of the tea leaves and the skill of the tea master processing them. In this case, the floral is gardenia. And the tea is Dancong Song cultivar Huang Zhi Xiang Mt. 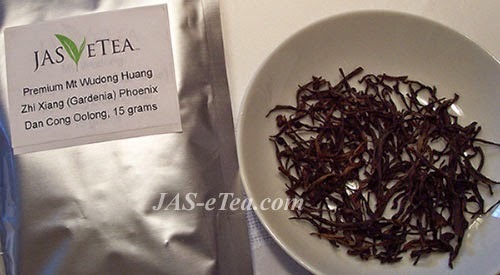 Wudong Phoenix oolong. The name is a true mouthful and so is the tea. Three versions, actually: Imperial, Premium, and Nonpareil. These are all made from a Song cultivar that was propagated from a live tea tree carbon dated back to the southern Song Dynasty (13th century). This one is Huang Zhi Xiang and translates as “kumquat fragrance” per a local Chinese dialect. The teas are processed to three different grades, each drawing out the elements in the leaves that mimic the gardenia fragrance, described as tropical, fruity, and thick but quite pleasant. The leaves are mostly intact, not crumbled or ground to fannings and dust. Each one will hold its flavors through as many as 15 infusions using a gaiwan or similar vessel. A far cry from those artificially flavored teas and even those with actual petals sprinkled in where the floral flavors and aromas are good for one or two infusions, maybe three if you’re lucky. Imperial Mt. 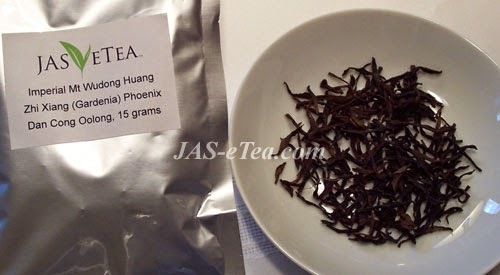 Wudong Huang Zhi Xiang (Gardenia) Phoenix Dan Cong Oolong – the floral is clearly evident and is accompanied by some planty/nutty aromas in the dry leaves. “Imperial” often means something that was used as a tribute tea (handed over by royal mandate to the Emperor). Premium Mt. 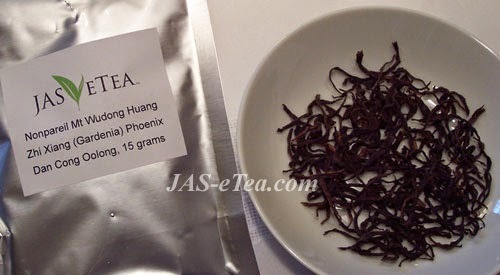 Wudong Huang Zhi Xiang (Gardenia) Phoenix Dan Cong Oolong – this has the strongest floral aroma but is accompanied by a nutty/fruity quality in the dry leaves. “Premium” means the best. Although Nonpareil is the most highly regarded, some of our customers said they liked this one best. All tastebuds are different, and you may agree or disagree with their assessment. Mt. Wudong (Wudongshan) is a tall mountain kissed by mists that is located in the greater Phoenix Mountain area in the northeast corner of Guangdong Province, China. It is said to be the home of the best Dancong oolongs. For one thing, the tea trees are allowed to grow to a natural height and develop into true trees, often with quite thick trunks. 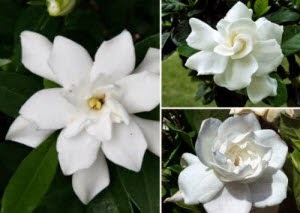 They also have roots that go deep in the soil and pull up nutrients and aroma compounds that help create the gardenia fragrance. As for those gardenias, save them for your lapel or a vase. These teas need no flavor enhancement! 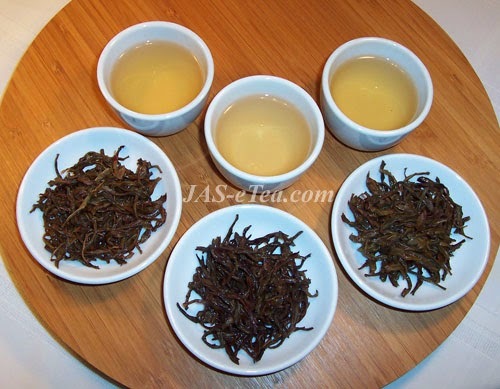 This entry was posted in China, Oolong Teas and tagged chinese tea, Dancong, JAS-eTea, Oolong Teas. Bookmark the permalink.